Czech and Polish visions for the future of the EU are generally similar. A Czech government statement released in June says that “regarding the future set of integration, the European Union has to do less more effectively. Also, it has to accentuate the reinforcement of the member states’ role in the Union” and ensure better security at the EU’s external borders, and prioritise the fight against terrorism, radical Islamism and cyber-attacks. Security is also a priority of Polish European policy – especially ensuring stability at the eastern EU border with Russia but also ensuring better security and defence capabilities in general, in cooperation with the EU, NATO and bilaterally with the US. Another priority is achieving energy security. Poland’s energy mix is currently the least diversified in Europe but the government is still struggling to come up with a concrete strategy for the next 20-30 years. Poland also expects European solidarity against building Nord Stream 2. Due to Polish and Czech opposition to refugee relocation quotas, both countries may suffer reductions to their share of the next seven year EU budget. Maintaining their share of the budget is another priority shared by Poland and Czech Republic. On migration and refugees, the governments of Poland and the Czech Republic speak with one voice: the EU should abandon the idea of a mandatory mechanism of relocation and any transnational solutions. They believe that all decisions regarding the reform of the asylum system should be taken at the level of the European Council and not at ministerial meetings without the possibility of a veto being used by any of the states. But some experts argue that the Czech Republic has put too much energy into rejecting the refugee quotas. According to a recently released analysis by the Association for International Affairs, the Czech Republic should instead focus on brokering a soft Brexit deal, better formulation of conditions for Czech entry to the eurozone, and on preparation for its future presidency of the Council in 2022. These are the real priorities of the Czech Republic, according to experts. The opposition, to the contrary, highlights the value of Europe and of Poland;s membership. 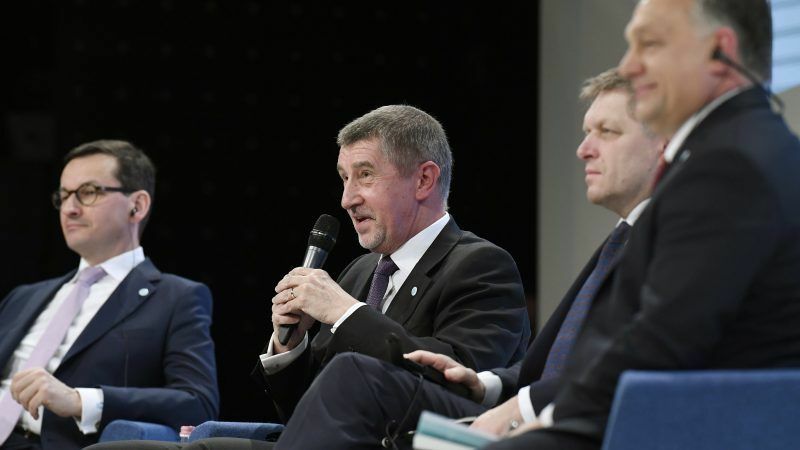 Even Czech Prime Minister Andrej Babiš called the EU a “great project”. The rhetoric of both countries could be often considered as very Eurosceptic but leaving the EU is not an issue. In Poland, where Prime Minister Mateusz Morawiecki recently called the EU “some imaginary community”, eurosceptic and anti-European rhetoric is used for internal politics, says professor Agnieszka Cianciara from the Polish Academy of Sciences. “The aim of the PiS government is to remain in the EU, at least in the medium term, and to achieve economic and financial benefits, while providing a free hand for ‘cherry picking’. In other words, we consume benefits and avoid costs,” the expert said. Czech expert Vít Hloušek from Masaryk University in Brno adds that the governmental Euroscepticism in Poland is typically represented by national-oriented conservatives, who would like the EU to be a union of sovereign states. It is different in the Czech Republic. Euroscepticism is a common thread spanning communists to the far-right. “Somewhere between these political actors lies the Czech Eurosceptic mainstream represented by Civic Democratic Party and political movement ANO, but also by a part of socialists,” says Hloušek. According to him, neither Czexit nor Polexit are not on the table. The mainstream political actors, namely Andrej Babiš and Jarosław Kaczyński, do not actually want to leave the Union and a referendum could be a risky game. “Although the politicians claim that they would support the EU membership in such a referendum, it does not mean that the outcome would be to remain in the EU as well. As Brexit shows, the unimaginable is actually possible,” says Hloušek. Surveys suggest that Czechs are more Eurosceptic than Poles but it is Poland that is currently in serious dispute with the EU and subject to an Article 7 procedure under the EU treaties. The tension between the EU and Poland has an impact on Czech-Polish relations. Czech diplomats, as well as Prime Minister Babiš, did not criticise Poland, stating that such problems must be settled by Poland itself. However, the European Network of Councils for the Judiciary (ENCJ) supported suspension of Poland’s National Judiciary Council with just one opposing vote – that of Poland. “The case of Article 7 does not take place in a vacuum, but can be combined with other important issues for individual countries, for example negotiations regarding the new financial perspective,” points out Agnieszka Cianciara. “In the event that there is a vote on the risk of violation, the Czech Republic, with its own interests and benefits, may vote in favour,” Professor Cianciara said. At a meeting of the Prime Ministers, Mateusz Morawiecki said that Polish-Czech relations were “excellent”, mentioning trade and economic cooperation. According to the Czech Prime Minister, Poland and the Czech Republic share a common view of the future EU budget. The main challenge for the Czech Republic will be the high absorption of EU subsidies to meet the needs of the most undeveloped regions – such as the three mining regions: Moravia-Silesia, Ústí nad Labem and Karlovy Vary. As far as EU budget is concerned, Poland and the Czech Republic believe that each Member State should contribute more. Poland is against creating separate financial mechanisms for the euro area, and is particularly concerned that this could mean a reduction in the contribution of the eurozone countries to the EU budget. The PiS government emphasizes that cohesion policy should remain the largest development policy serving all regions and EU countries. “We will not agree to the EC’s intentions regarding cohesion policy,” said Prime Minister Mateusz Morawiecki, though his Minister of Foreign Affairs Jacek Czaputowicz labelled the draft budget “a good basis for further negotiations”. Vít Dostál, head of the Association of International Affairs, says that the negotiations of the long-term EU budget – the Multiannual Financial Framework – will be quite a challenge for cohesiveness of the Visegrad Group and not just Czech-Polish relations. “When previous Financial Framework was negotiated, certain erosion of the cooperation within V4 occurred. Thus, future Financial Framework negotiations could reveal the limits of V4 cooperation,” pointed out Dostál. According to the Czech Ministry of Foreign Affairs, the Czech Republic looks for Polish support not only in EU budget issues but also in several sectoral policies. “Another example of a great cooperation is establishment of the Digital Single Market, and also the development of digitalisation,” says Michal Bucháček on behalf of the Ministry of Foreign Affairs. “The Czech Republic and Poland actively participate in preparation of position papers which influence strategic work of the European Commission. In addition, they strive for such Digital Single Market, from which the EU citizens and entrepreneurs would benefit more and faster,” said Bucháček. 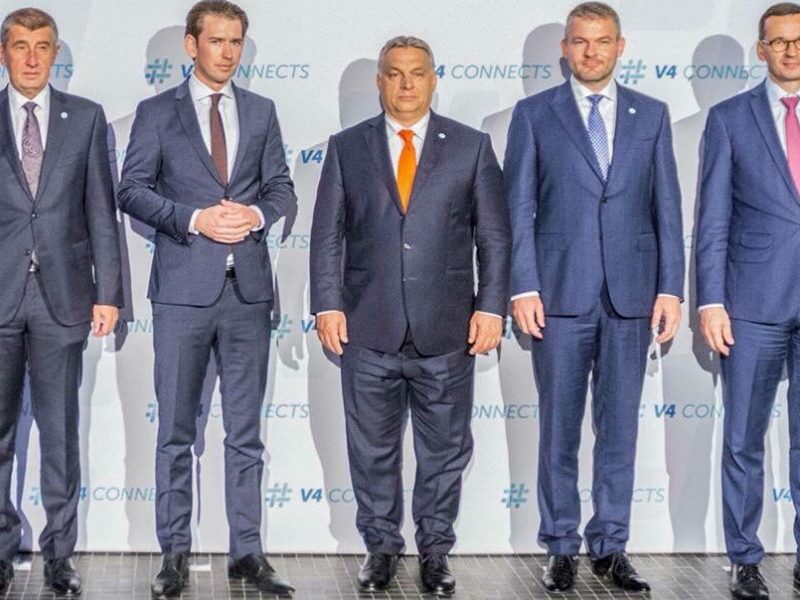 Both countries as with other Visegrad countries should consider forming their own organisation and go their own way maybe in a looser EU which becomes an umbrella organisation of block of countries. In this way those who want to pursue federal Europe cannot be held back and go their own way. Those who see the EU as a union of independent nations can go their own way. A multi-speed Europe in the end. This will avoid all the disputes and conflicts which we have today. They each have to find their funding to function. The richer North do not need any more to fund the poorer East particularly, Why the East wants to remain in the EU is really the funding they get from the West. And the West has the right to say that if the East is not ready to respect democracy, rule of law they should not be funded. This is what is practised vis-a-vis thir countries. So, why not in Europe? If in the end the Eastern countries arenot happy they Poland, the Czech Republic and others should be leave or be invited to leave.